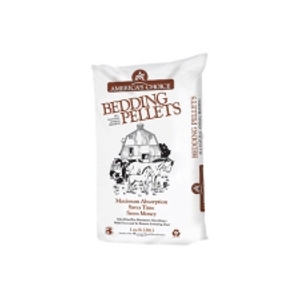 More Absorbent - Highly compressed pellets expand to absorb more than conventional bedding. Saves time - Quicker cleanup because pellets drop through fork easily, so unsoiled bedding remains in the stall. Saves Money - Less expensive because you use less than conventional bedding. Healthier - Pelletized to reduce airborne dust particles, eye and respiratory irritation. Naturally reduces ammonia odor. © 2019 G&G Feed & Supply Inc.. All rights reserved.